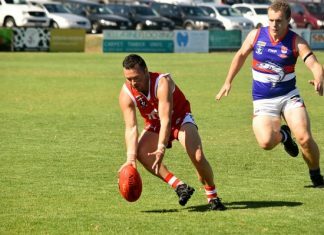 A chilly response awaited coaches of Ocean Grove Collendina Cobras junior footy teams on Saturday after the club’s first ever Big Freeze. 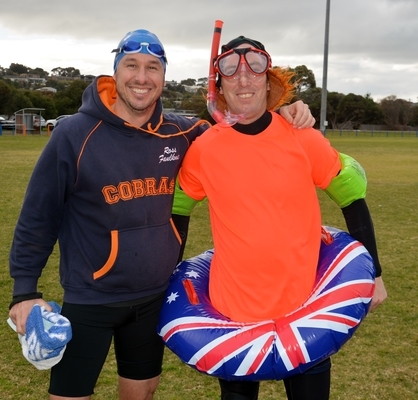 Following in the footsteps of Neale Daniher’s huge event, the Cobras held their own fundraiser. 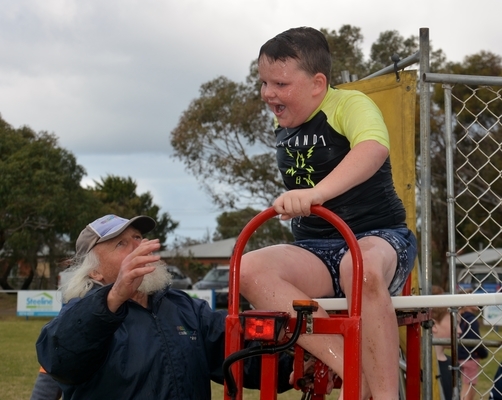 The cheese toastie van did a roaring trade and the $10 car wash was kept busy as the club raised more than $1700 for River’s Gift, which is the largest form of fundraising for SIDS in the country. It was the second year the club has raised funds for River’s Gift. 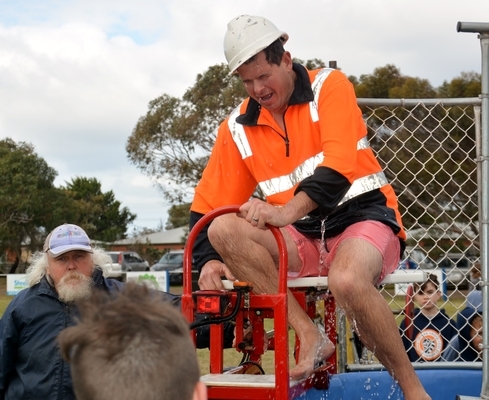 Money was also raised on the day for MND. Cobras president Shaun Stow said the day was a massive success. “It was a fantastic day for our junior club,” he said. All Cobra junior coaches took their turn in being dumped into the icy water. Participants lined up to throw a ball at a target in the hope of sending the coaches into the water. 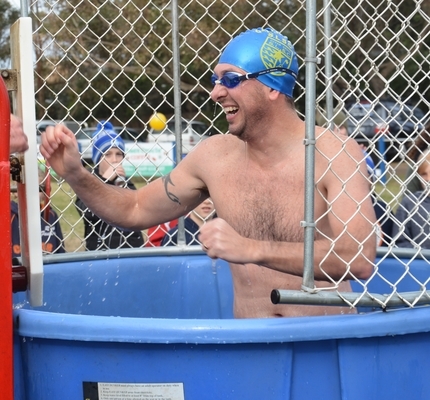 “All were nervous but that first plunge really took their breath away,” Mr Stow said. “Cobra players made sure there was plenty of ice thrown into the tank from our club’s ice machine during the set up. Mr Stow said said the Big Freeze would be annual event. “The success of this event means it should only get bigger and better,” he said.